Māoriland Film Festival is Aotearoa’s international Indigenous Film Festival. 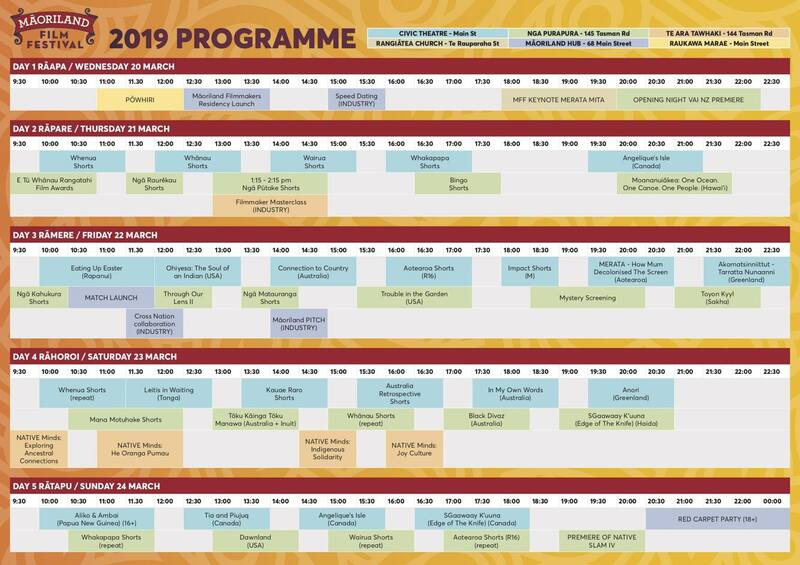 Each March, Māoriland brings Indigenous films and their creators to Ōtaki for five days of screenings, workshops, seminars and more! Put March 20 - 24 in your calendars now and join us in Ōtaki to celebrate the world of Indigenous cinema and creativity!